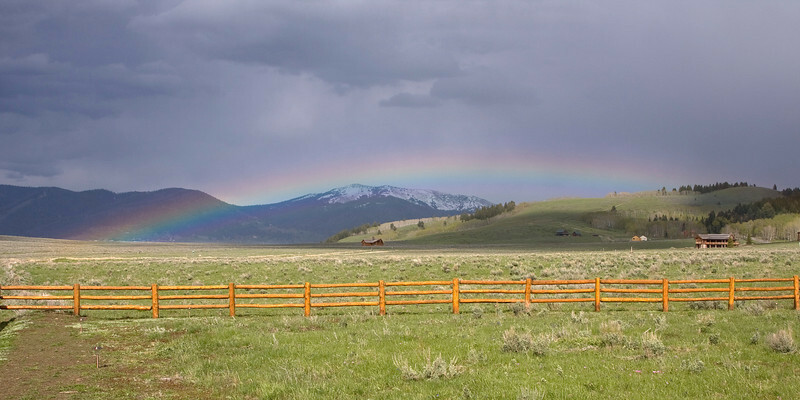 Rainbow over Sawtelle Meadows, from RedRock RV Park, looking East towards Yellowstone. Normally, the rainbows here are higher with more pronounced curvature than this one. June 13, 2008. Island Park, Idaho.